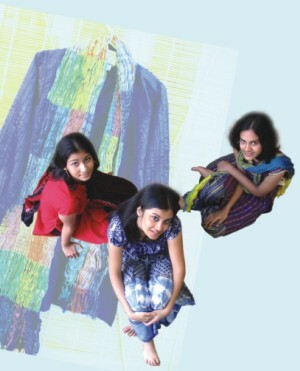 The notion of indigenous fabrics being trendy has reached Bangladesh as well. A good number of fashion houses and small boutiques are using local fabrics to create designs that conform to contemporary styles. Designers are experimenting with a whole range of fabrics, blending different yarns to create original patterns, dyeing them to produce unusual colours and then creating their signature ensembles. SWM takes a look at some of the well-known fashion houses and their collections for Eid that are made up of clothes stitched with Bangladeshi weaves.